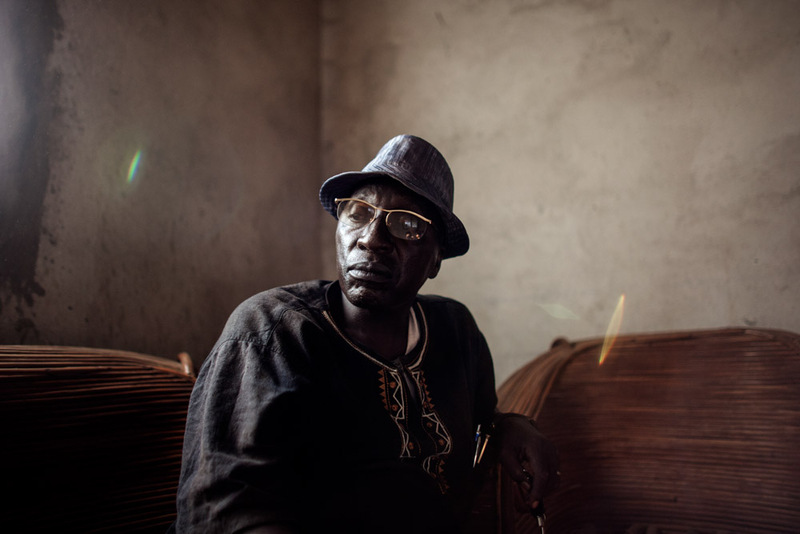 Nyamkoye Haba, 60, sits in the Haba family home in Womey, Guinea on January 24, 2015. Haba was one of many arrested for the killing of eight people, part of a larger government led group who entered Womey to educate people about Ebola on Septemebr 16, 2014. Haba was later released and cleared of charges after spending three months in prison.